In the third column appears the task’s assignee, who updated the task last, who created the task and the time estimated to complete the task. Be sure to select priority, category, group, and assignee in order to further clarify the issue. 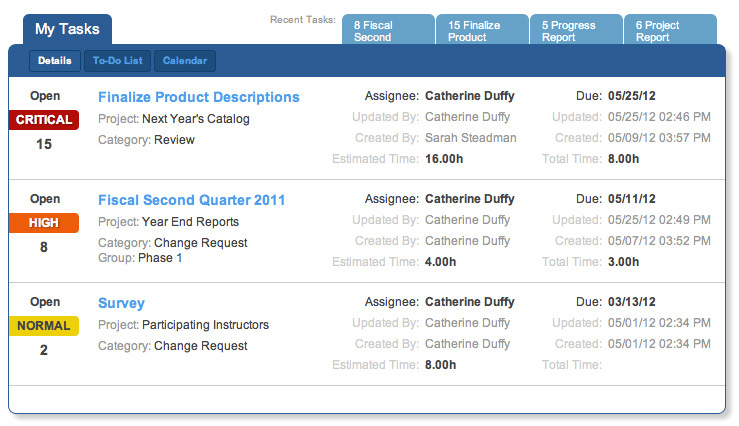 Some more options available are estimating the time the task will take and adding a due date for the assignee. 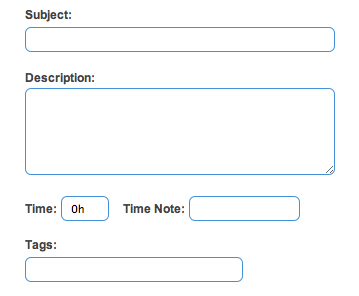 You have the option of not only putting any attachment with the task, but also into the project documents bucket. 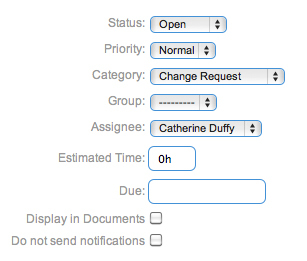 You can also choose whether or not to send notifications along with task updates. When you click on a specific project, that project’s details tab appears. 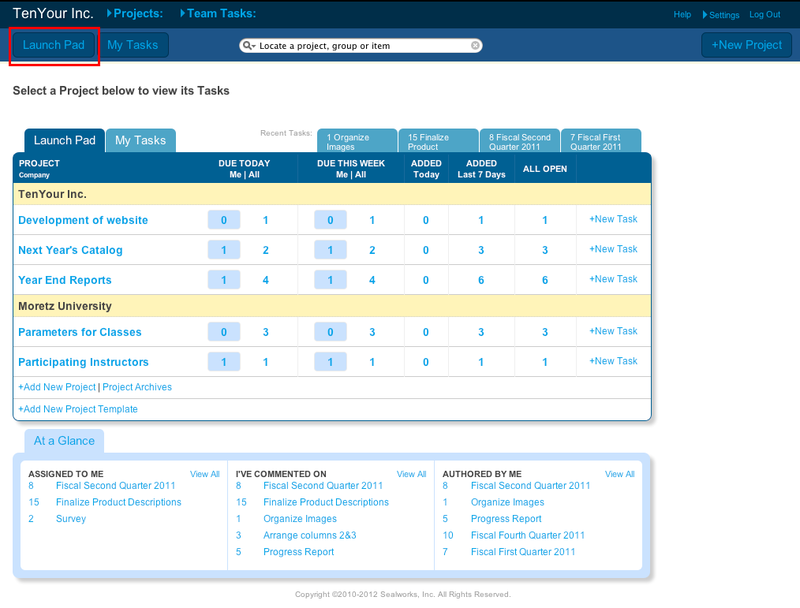 On this tab is a detailed list of tasks for that project. 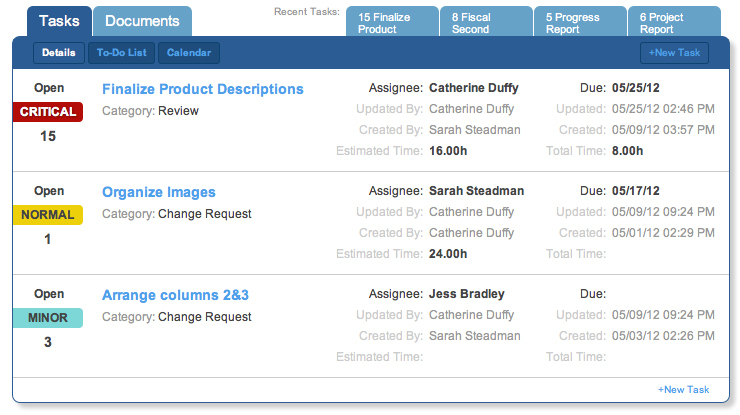 From left to right you will see the task’s status, priority, number, title, category, group, assignee, estimated time, a due date, and a total of time currently spent on that task. 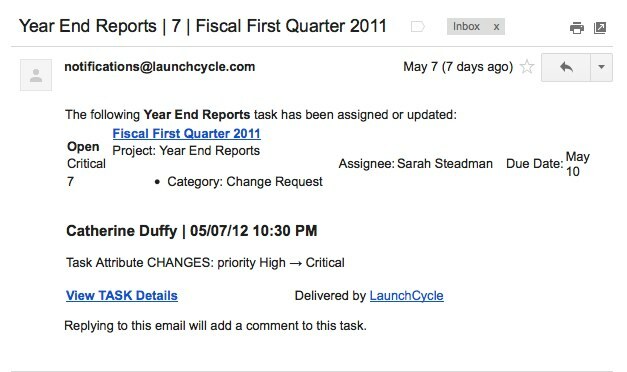 If you are the assignee or creator of a task, you will get an e-mail notification if any changes are made to the task. 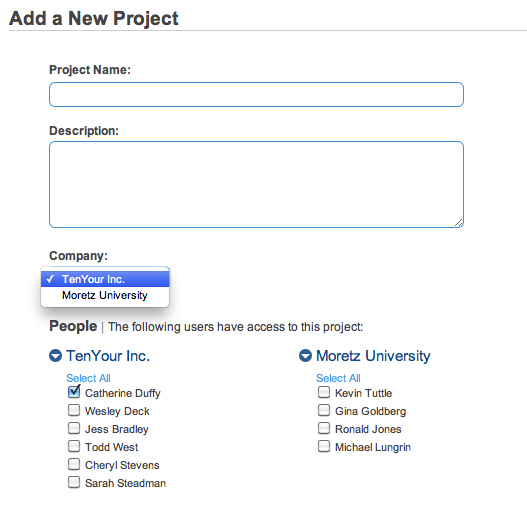 In the Add New Project opening screen, you can name the project, add a description and then select the company you’d like to associate it with. 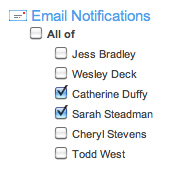 You can also include specific people whom have access. 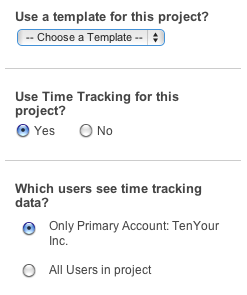 You may also wish to include the time tracking feature to this project and decide who can see this. 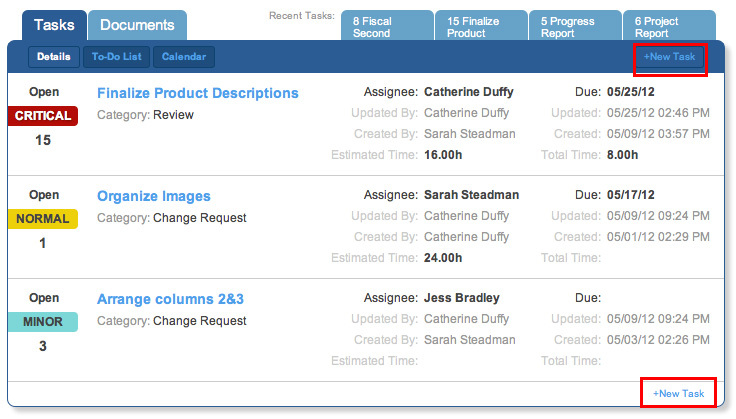 Click the Save button to save the new project and it will now appear on your Launch Pad, ready for tasks to be added!